Chile has been well known for being a country with exportations focused mainly on mining and wine related products. Not in vain “Chile” is synonym of excellent quality in copper and wines. However this also has generated that some marketing sectors lose the ‘attraction’ they should have, and that would give Chile a well-deserved worldwide visibility. One of these sectors is the one that comprises the Information Technologies. Aware of this, the Government of Chile has invested significant time and money resources to let the Software Development becomes an important axis in the employment generation and progress for the national population. This has called the attention of the Private Sector which, many times, is the one that should have an initial benefit with these developments. And it’s precisely the Private Sector which took a step forward by creating in a beginning the GECHS (Association of Chilean Software Companies), which later became the current ChileTec. ChileTec is not the ‘typical’ group of private companies that join to get profit exclusively between each other. It involves a social sense which is reflected in each one of its projects. And this was one of the most important reasons Morris & Opazo had in mind to request its inclusion in this organization: to keep on generating progress by means of Software Development and Cloud-based Infrastructure. In a world everyday more and better connected with itself, is worth of mentioning and noting that there is an organization willing to capacitate, train and support the Chilean companies that want to take their products and services to foreign lands. Chile is the 4th country in Latin America in terms of population with access to Internet (http://www.internetworldstats.com/stats10.htm). This huge opportunity can’t be wasted. On the contrary, it should be considered as an ‘invitation’ to the Chilean companies so they can participate in a proactive way in the contents published in Internet, and also be able to take their products and services to this network, using it as a ‘showcase’ with potential customers. This invitation can become a reality by entering ChileTec. “This year we have harvested what we have been planting for almost 12 years. 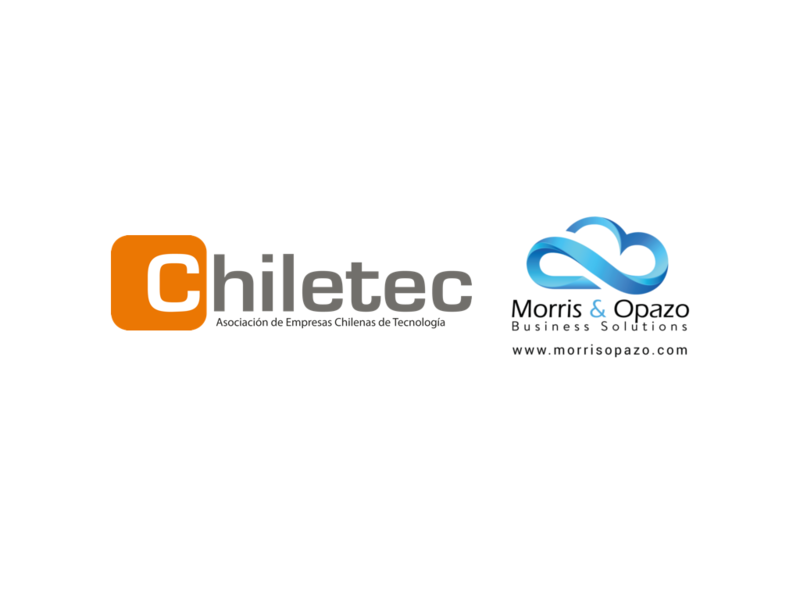 First we got the recognition from Amazon Web Services added to our commercial and technological alliance with Microsoft, and now we are participating in ChileTec, so we can prepare much better when exporting our technology services”, Marcelo Rybertt, Country Manager, Morris & Opazo. In a short time Chile will be recognized worldwide for its copper, its wines and its software of the highest quality. Technical and human quality. Quality Morris & Opazo.